Fruits de Mer Records specialize in vinyl only releases featuring contemporary bands covering songs – many quite obscure -from the 1960s and early 1970s. A few months ago Fruits de Mer released the excellent Sorrow’s Children: The Songs Of S.F. Sorrow, a re-recording of The Pretty Things 1968 classic S.F. Sorrow, with each track contributed by a different contemporary band. And now the label keep The Pretty Things in the spotlight with this new single. 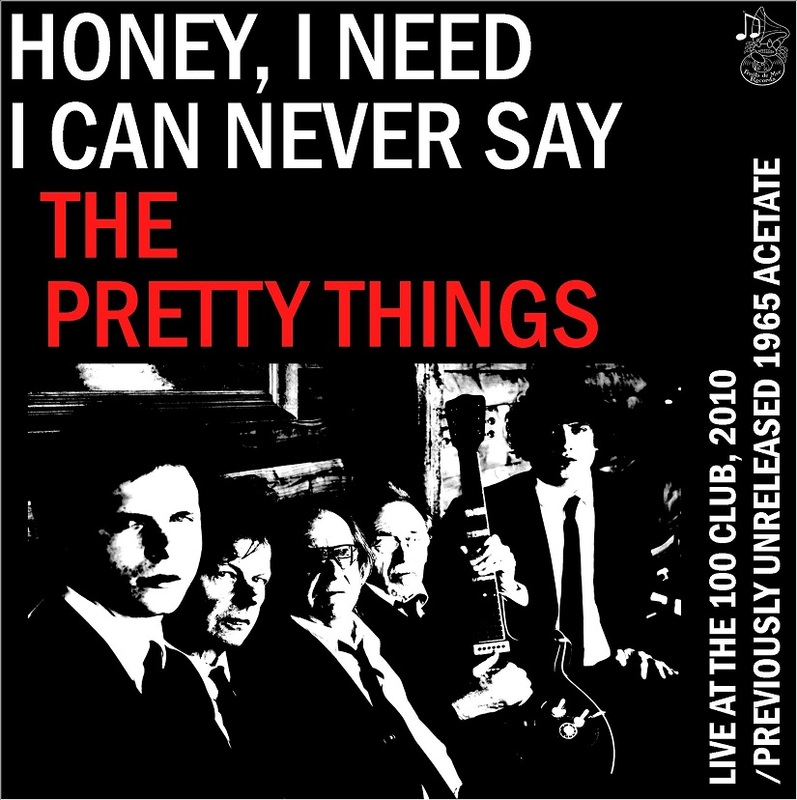 In 1965 The Pretty Things released a single with Honey, I Need on the A side (also on their first album) and I Can Never Say on the flip. This new single is an interesting twist on the original, featuring a version of Honey, I Need recorded live at The 100 Club in December 2010 and will be on an upcoming full album document of that show. It’s a rousing country-ish rocker that demonstrates the band are still a fiery live act. The version of I Can Never Say that’s on the flip side is an unreleased demo track taken from a 1965 acetate. Wailing Blues harmonica nicely embellishes this country-rock song, making for a tasty bit of the old and new. The single will be available mid-June or so and is limited to 1200 copies, and as usual this is vinyl ONLY, no CDs or downloads. If interested you better hurry because Fruits de Mer releases sell out QUICK!